Have you found an online vendor selling Novo Fogo Familia? A blend a white and barrel aged cachaca resulting in a golden liquid. The nose is very inviting with fermented apple, fig, cinnamon and sugarcane, perhaps a hint of raisin. It incorperates a lot of the classic cachaca soul but with a vibe of christmas. In the mouth the figs and cinnamon are even more pronounced, but it’s more earthy than sweet. The finish gives of notes of rounded oak and cloves. Very nice and a solid seven. The smell goes lightly to some wine spirit, maybe grappa. The taste is quite strong, very significant tail. Not my cup of tea. Discovery from a bottle of 2cl. What is this? I gave 2 only because there was something with the nose.. Otherwise the taste is really strong and so crazy. I honestly didn't like it and could not recommend it in any means. Grappa on the nose, taste like fruit distillate ( plum? ). Very smooth and easy to drink. Doften är sådär, lite fruktig. Smakar lite kanel och är ok men inget som sticker ut. When you say rum and Brazil, you have to say Cachaça. I am not particularly a fan of the brazilian national drink, but I have heard good things about this brand. I was however left disappointed. Taste: Very light taste of bananas, candied fruits and a light touch of wood. 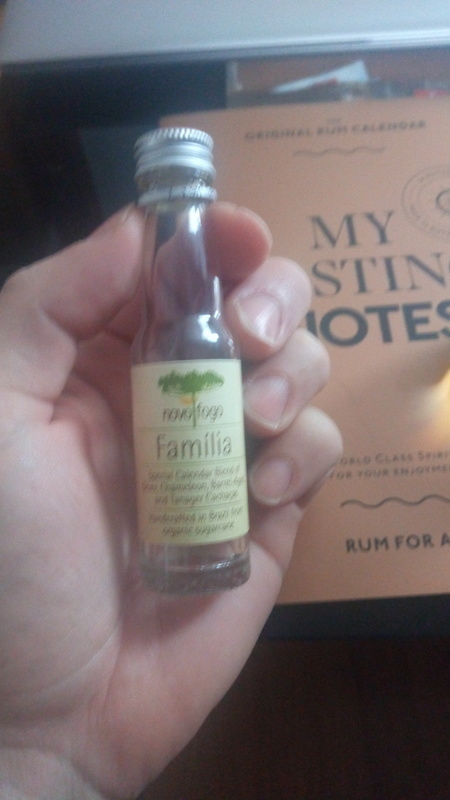 Overall: For a cachaça, this wasn´t so bad, but for a rum it lacked flavour. It was simply to light on the palate. The notes that were there were also not impressive. This Cachaca is not but but not great either. Aroma has hints of honey ad fruits. Taste is woody and fruity reminding fruit brandy. In der Nase ein Korb voller überreifer tropischer Früchte, im Hintergrund dezente Holz und Karamell Noten, jung und süss. Im Gaumen weich und mundfüllend, erstaunlich für dieses Alter ! Die Aromen sind halt nicht so ausgeprägt aber durchaus vorhanden. Banane, Karamell, Schokolade, Blumen..... alles da. 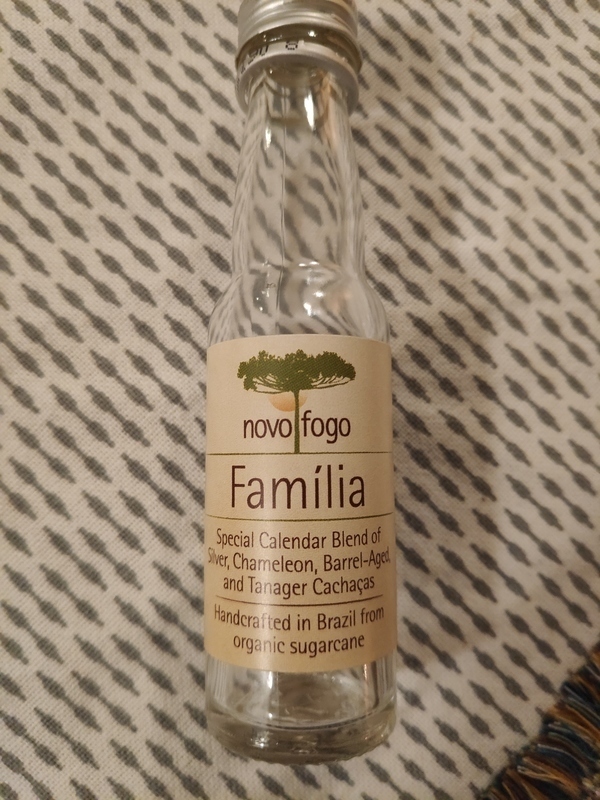 Mmm… ein leckerer Cachaça und auch als solcher zu betrachten. Ist halt ein ganz andere Art von Zuckerrohr Brand. Mein nächsten Chaipirinha mixe ich mit einem solchen. Für Liebhaber dieser Art. Mellow yellow in the glass. In the nose a basket full of overripe tropical fruits, in the background discreet wood and caramel notes, young and sweet. On the palate soft and full-bodied, astonishing for this age ! The aromas are not so pronounced but present. Banana, caramel, chocolate, flowers..... everything there. Mmm.... a tasty Cachaça and also to be regarded as such. It's just a completely different kind of sugar cane brandy. I mix my next Chaipirinha with one of those. For lovers of this kind. Färgton en aningen gul, lite mörkare gul. Arom av banan sägs det? Fruktig iaf, kan vara banan. Banan känner man iaf mer i smaken, överjäst banan, saltig. Nja inte helt okej, men en väldigt annorlunda smak, ny smakupplevelse så det är positivt iaf. Tasting after spoilt fruit, not my cup of tea so to speak. I must say this is not commonly available, but rather a blend of a few of their regular lines: Silver, Chameleon, Barrel-aged and Tanagera Chacachas. It reminds me strongly of agricole products, since it is distilled from sugar cane juice as well. Tento vzorek me take prilis nenadchnul. Voni po fikach a skvasenem ovoci, kde alkohol je velmi vyrazny. Chutna asi tak, jak vine napovida. A me napovida, ze Cachaca neni muj salek rumu.